Under existing federal regulations, physicians affiliated with the US Department of Veterans Affairs are prohibited from filling out the necessary paperwork required in legal medical marijuana states. A budgetary amendment included in the Senate’s version the Military Construction, Veterans Affairs and Related Agencies Appropriations bill sought to end this prohibition. However, Congressional leaders on Tuesday voted to eliminate the provision during hearings to reconcile the House and Senate versions of the bill. Similar language was included by both chambers in the 2016 version of the funding bill, but was stripped from the text during meetings in conference committee. 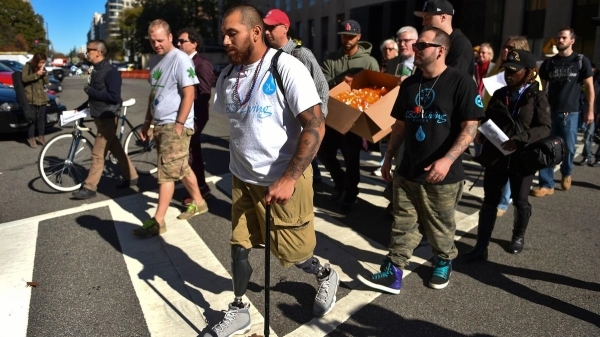 Last week, Senators Bill Nelson (D-FL) and Brian Schatz (D-HI) for the first time introduced stand-alone Senate legislation to expand medical cannabis access to military veterans. Similar legislation also remains pending in the House. A 2017 American Legion poll found that nearly one in four veterans use marijuana to alleviate a medical condition.